A number of people have asked me how many sessions I attended at last week’s Microsoft Professional Developers Conference; my answer was “I only attended the keynotes”. Since every session was recorded on video (with a split screen showing both presenter and presentation) and made available online, I decided to focus on what you can’t replicate outside the conference: getting to know people in the Windows developer community. It’s standard procedure at Microsoft to assign “buddies” to new hires to help them get acclimated. I have the very good fortune of having John Bristowe as one of my buddies; not only is he a warm and friendly guy, but I also already know him (his sister Ashley and I went to Crazy Go Nuts University together). John’s big on podcasting and was very generous in sharing the interviewer’s chair; he let me do a lot of interviews as a way to both get podcasting practice and introduce myself to people in the Windows world. Thanks, John! You’re going to need Silverlight to view these videos. If you’re rolling your eyes at the prospect of having to download yet another plugin, keep in mind that Silverlight is a pretty cool tool for writing rich internet apps, I’ll be covering it rather extensively soon, and it’s catching on. Besides, you can’t see the videos without it! Click the picture to see the video of the interview. After introducing myself to Distinguished Engineer (yup, that’s really his title) Don Box as “Microsoft’s Newest Employee”, I told him about my coming to Microsoft from the F/OSS world and asked him to please tell me that I hadn’t made a tragic mistake and ruined my life by coming over to the Dark Side. We also talked about his preparation process for his keynote demo, the Oslo platform and the M programming platform, the proper way to pronounce “Azure” and whether or not Microsoft is ready for the zombie apocalypse. 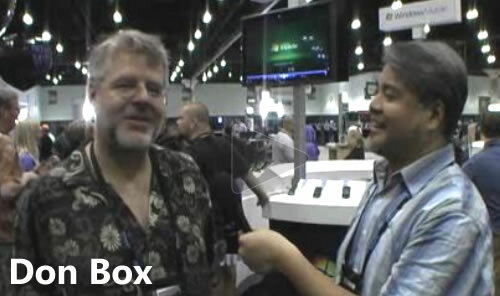 Video of my interview with Don Box. Video of Don Box’s and David Langworthy’s PDC 2008 presentation, Oslo: The Language, which introduces the M programming language. Video of Don Box’s and Florian Voss’ PDC 2008 presentation, “Oslo”: Customizing and Extending the Visual Design Experience. If you’d like to read more about Oslo in Don’s own words, a good place to start is this entry in his blog. Don’s blog, Don Box’s Spoutlet . I had a great chat with Mono Project lead Miguel de Icaza about Mono, their answer to Silverlight, the number of people in the Mono Project and how you, as a Windows developer, can take Mono out for a spin. We also talked about how to pronounce “Azure”, and Miguel speculated that the name was a clever choice because the disagreement over its pronunciation is a great way to get people talking about it. 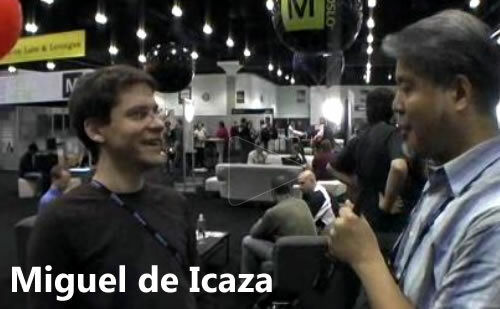 Video of my interview with Miguel de Icaza. Video of Miguel de Icaza’s PDC 2008 presentation, Mono and .NET. It’s always good to catch up with Toronto-area guy turned Redmond guy and IronRuby creator John Lam. We had a quick chat about IronRuby and the current state of the project. In the interview, he reminds us that IronRuby is an open source project, talks about the Ruby standard implementation tests it’s currently passing and what to expect from IronRuby in the near future. 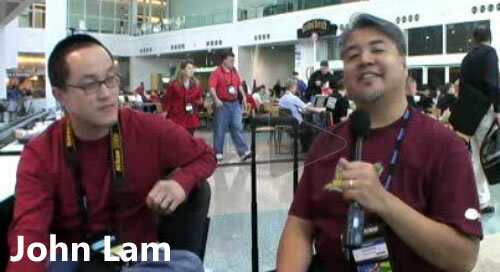 Video of my interview with John Lam. 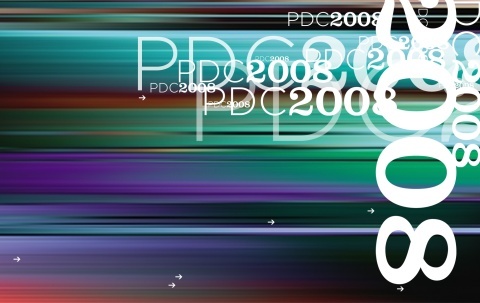 Video of John Lam’s PDC 2008 presentation, IronRuby: The Right Language for the Right Job. Why’s (Poignant) Guide to Ruby — the most whimsical introduction to a programming language, ever! John Lam’s blog, John Lam on Software . Phil Haack not only has the coolest surname for a techie, he’s also got an MVC framework for ASP.NET, just like the ones the Rails, Django and Cake people get to play with. In this interview, we talk about MVC web frameworks for the uninitiated, as well as get his take on how to pronounce “Azure”. Video of my interview with Phil Haack. Video of Phil Haack’s PDC 2008 presentation, ASP.NET MVC: A New Framework for Building Web Applications. The official ASP.NET MVC site. Phil Haack’s blog, You’ve Been HAACKED . 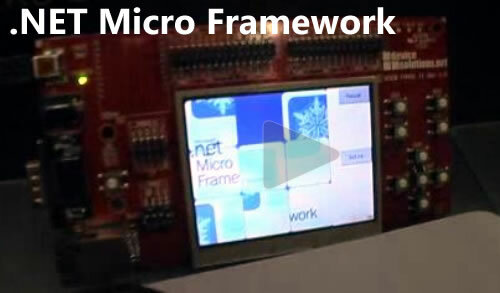 Believe it or not, there’s a .NET framework for embedded devices, the .NET Micro Framework. In this interview, I learn about .NET programming for small devices, the “Dare to Dream Different” contest (where you can win great prizes for coming up with new applications for the .NET Micro Framework) and about what donuts have to do with microcontrollers. Mmm…donuts! Video of my .NET Micro Framework interview. The “Dare to Dream Different” contest site. The .NET Micro Framework site.